Choosing which school to go to can be an extremely stressful task. There are many factors to consider before making this possibly life-changing decision. 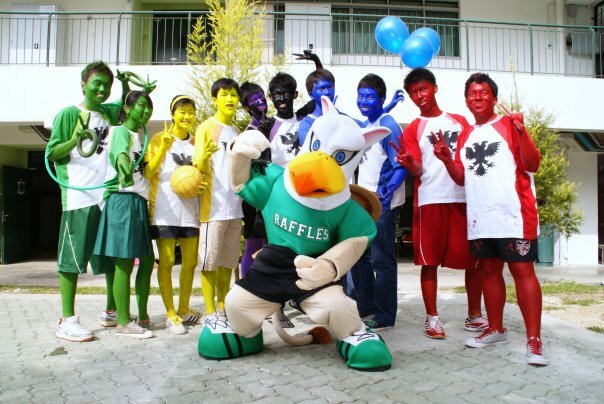 Through RI’s Open House 2013, the Student’s Council hopes to make this decision easier for you by showing you what Raffles holds in store. This year, the Open House theme is R! ALIVE. It seeks to encapsulate the vibrancy of school life. Through this Open House, we hope to showcase what the spirit of R! 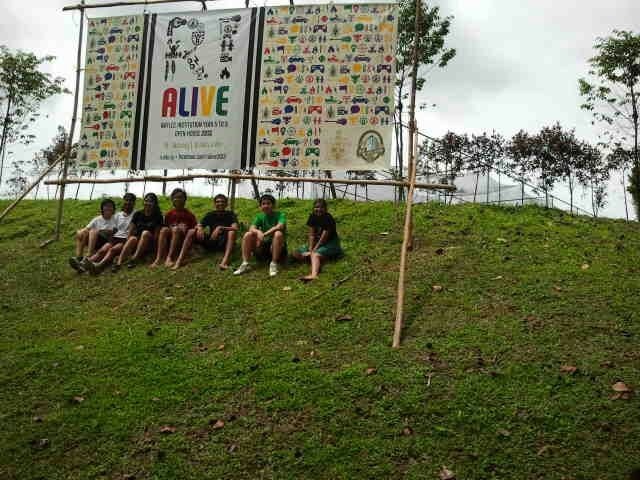 ALIVE means to us – being passionate and driven with a heart. 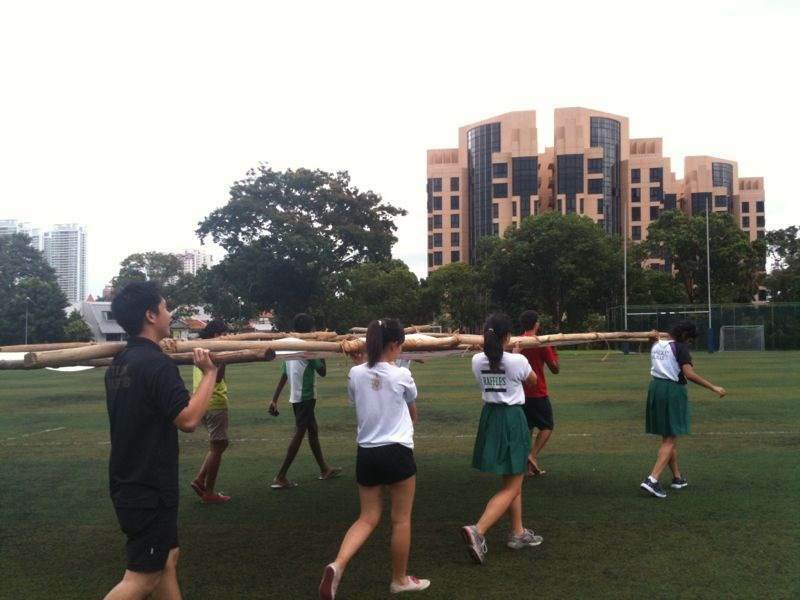 We hope that all Secondary 4s who attend will want to be part of RI too. The Student’s Council has offered the following programme as a guide. 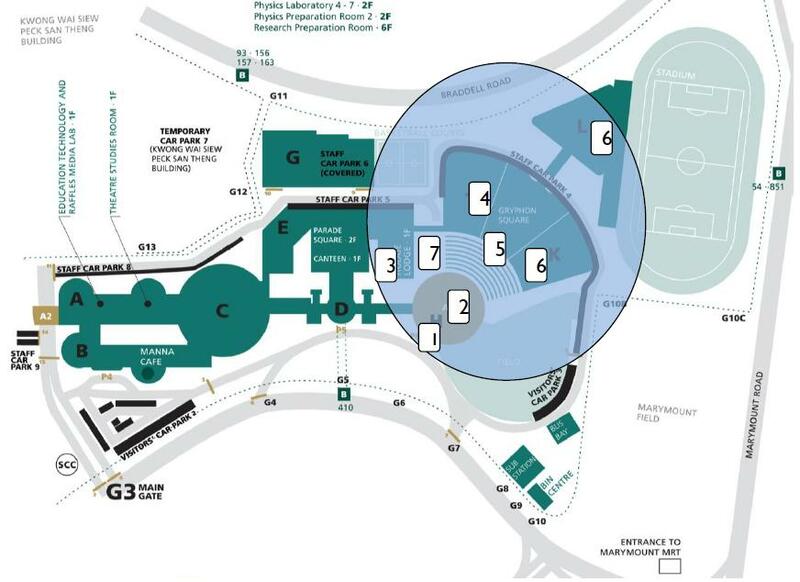 Upon entering the school, you can register and go for a school tour at the area outside the Innovation Centre. After that, you can look around our Academic Booths at the Innovation Centre and learn about our Enrichment Programmes at the Blue Room. 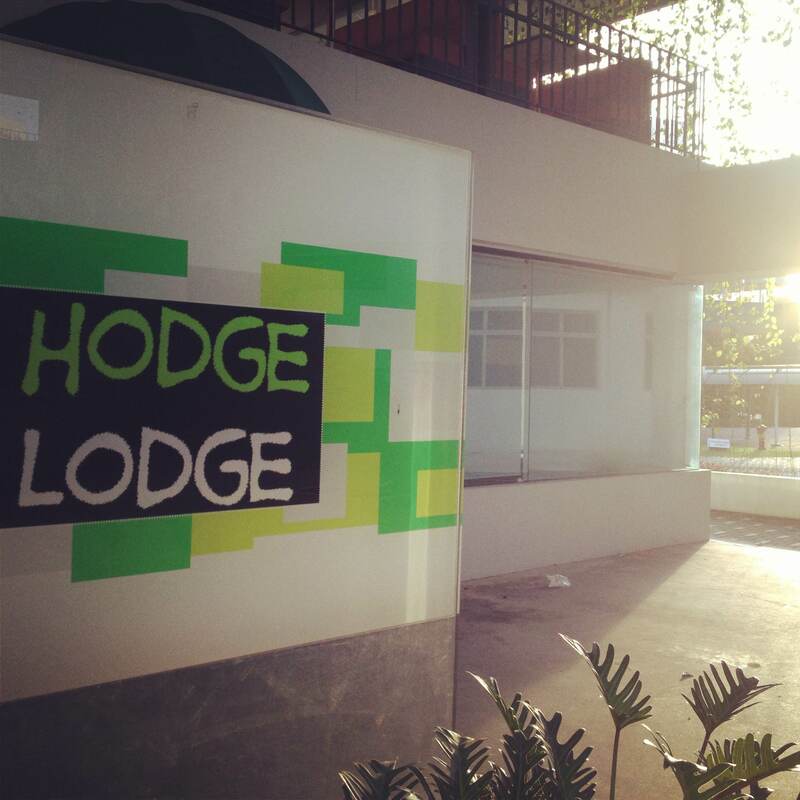 If you would rather learn about students’ lives in RI, visit the Hodge Lodge for the Sharing Session by our Befrienders! It’s 11.30AM! Time to go for the Introduction to RI Talk at the PAC! 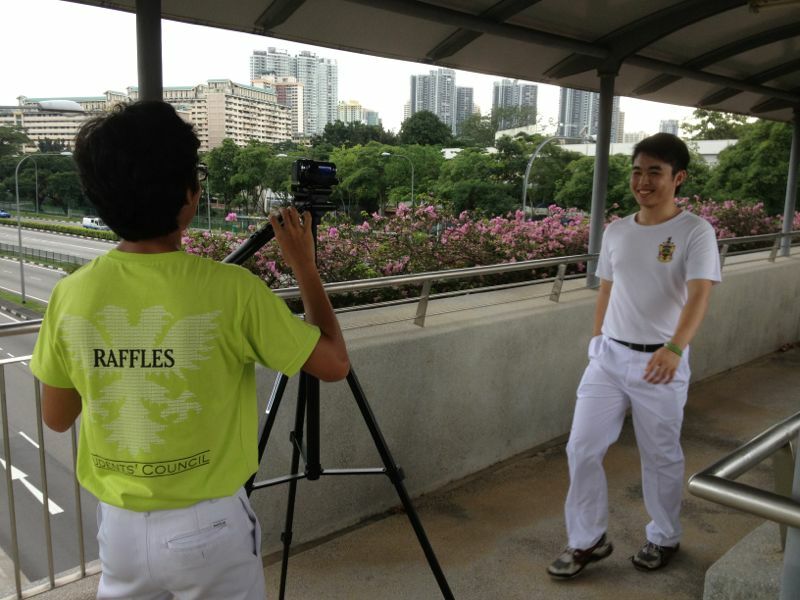 Watch performances and enjoy goodies at the Gryphon Square tentage. Learn about Sport CCAs in the Indoor Sports Hall and Performing Arts & Club CCAs at the Multi-Purpose Hall! Catch the Houses display their passion outside the Hodge Lodge! Watch Your Favourite Performances: An amazing medley of performances put up by our favourite performing CCAs will be happening both at the Gryphon Square tentage and the MPH! Our Deputy Principal will be delivering an Introduction to RI speech for JAE students at the Performing Arts Centre at 11.30AM. Polaroid Giveaways: Answer a question we will be asking you regarding the video and get a free Polaroid with your friends & maybe even Griffles soft toy at the photo booth! Student Sharing @ Hodge Lodge: For the first time, Befrienders will be sharing their own experiences in RI in an open session at the Hodge Lodge. Feel free to join in and ask them any questions you may have! Exhibition Matches: Sport CCAs will be setting up their booths at the ISH. Some of them will be having exhibition matches for viewing. If you’re lucky, you’ll be able to join them and have fun too! As usual, Befrienders will be providing tours around the school. There will be exciting food stalls at the Gryphon Square as well, including free popcorn. 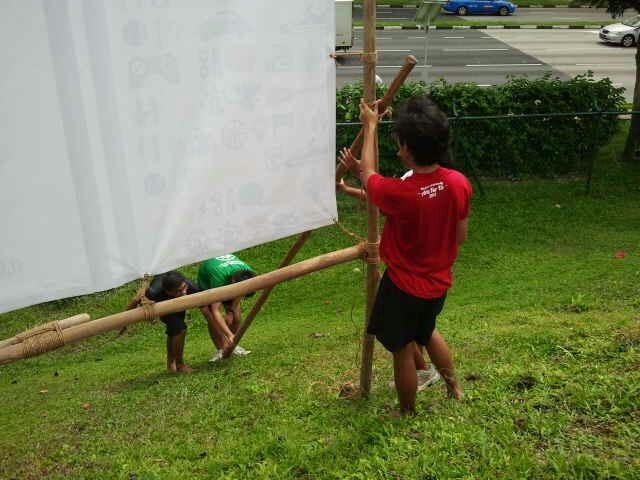 OH Comm members positioning the banner, led by our scout Adam! If you have any queries, please feel free to contact Natalie Teo (nat_teo@hotmail.com) and Daniel Lim (daniel.ljh95@gmail.com). 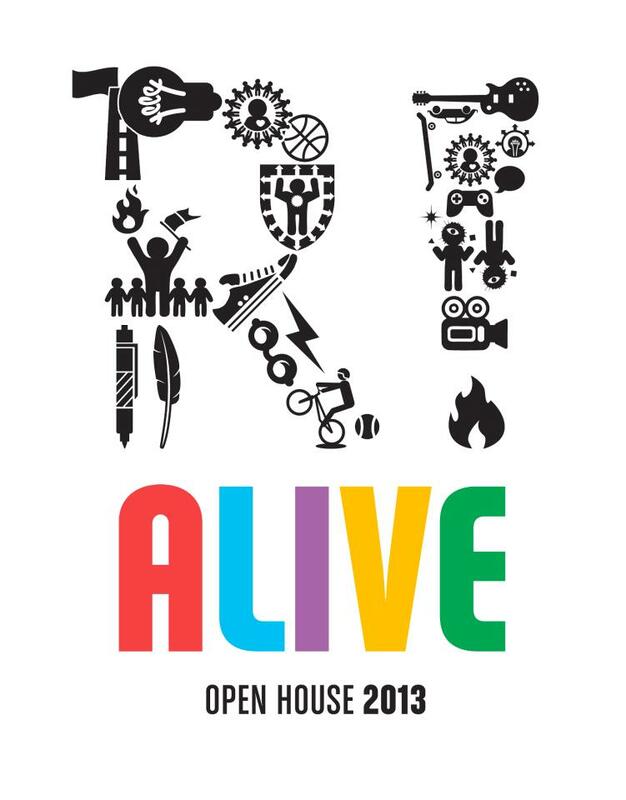 Visit and “Like” the Open House page at http://www.facebook.com/ralive2013 to stay updated !